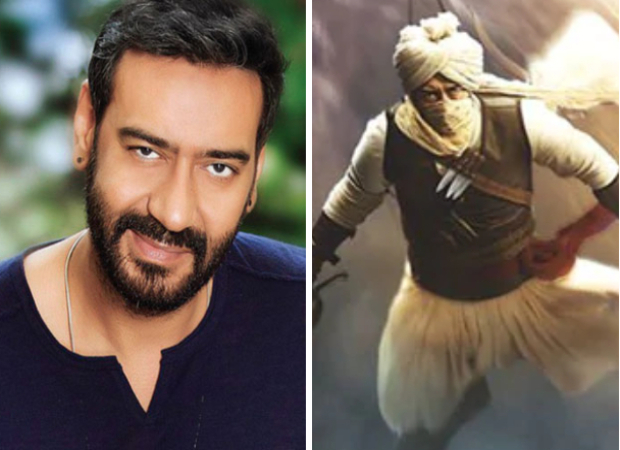 One of the most ambitious projects of Ajay Devgn, Taanaji – The Unsung Warrior, began last year in September. The film, produced by Bhushan Kumar of T-Series, will revolve around the life of this unsung warrior of glorious Indian history, Taanaji Malusare, who fought for his people, his soil and his King, Chhatrapati Shivaji. Now, the actor has revealed that the film which will be the 100th movie of his career will be wrapped in May 2019. Ajay Devgn, who has been promoting Total Dhamaal, revealed that the actor will wrap up the film in May 2019. Speaking of learning about Taanaji Malusare in school, he said that these days everyone is exploring stories on popular figures from history. He said that the younger generation are aware of the historical figures on which movies can be made apart from the four to five ones. He will wrap up the film by May and it will release by November. Taanaji – The Unsung Warrior will mark Bhushan Kumar’s first venture into costume drama and historical space. Speaking on the first of its kind epic film, Bhushan had earlier stated, “Ajay is one of the finest actors that we have today. The intensity that he brings to his performance is unparalleled. After the success of our recent film Raid, I am super excited to be part of a costume drama, a first for our banner T-Series.” The film will be directed by Om Raut, who has to his credit Lokmanya Ek Yugpurush (2015), the Marathi biopic on Bal Gangadhar Tilak.